Shop › News › Gift Giving (Creating) is Made Easy with Punch Place Plus! Gift Giving (Creating) is Made Easy with Punch Place Plus! It's that time of year? The holidays, when you're scrambling to make that perfect gift and you have no idea what to make. Luckily for you (all of us), great gift giving (creating) is made easy with Punch Place Plus! Punch Place Plus offers a wide variety of products to make the perfect gift (or give that perfect gift)! Today I want to show you a few great items that you can either put together to give one recipient or they can be broken up and given to a few. Either way you decide to give these gifts PPP's great pricing makes it easier for you to make something for everyone on your list! First things first, I'm the realist (oops sorry). First you're going to remove the protective covering from the part you're going to be applying your vinyl (I leave the other piece on so they don't get scratched). Please see the video on how I remove mine down where we are assembling the earrings. 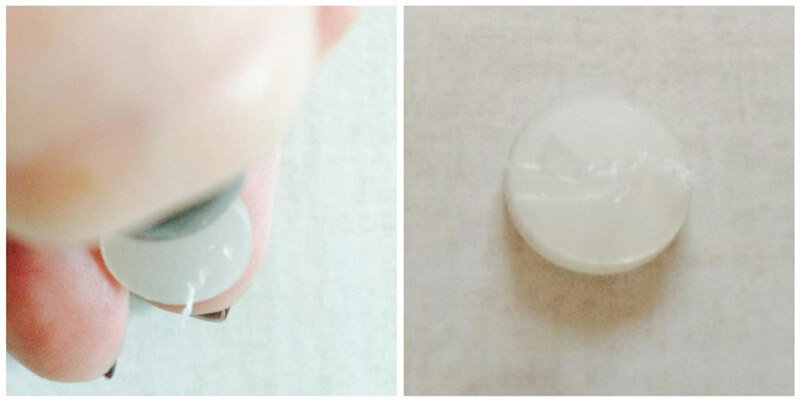 Second, clean your acrylic blanks with warm soap and water. 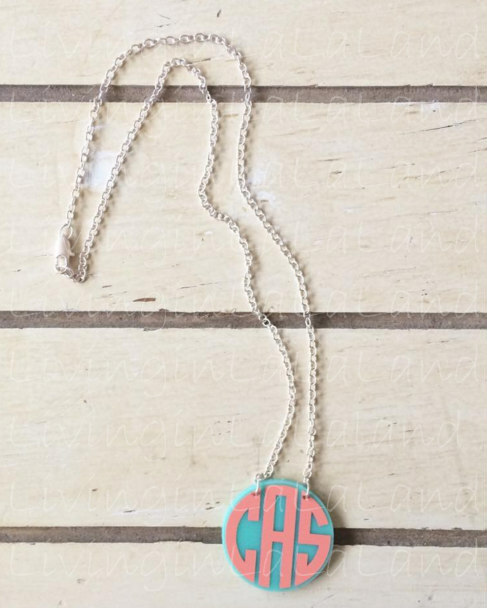 Create your monogram or design. Cut it out on your software. Weed out the excess so you're left with your design. 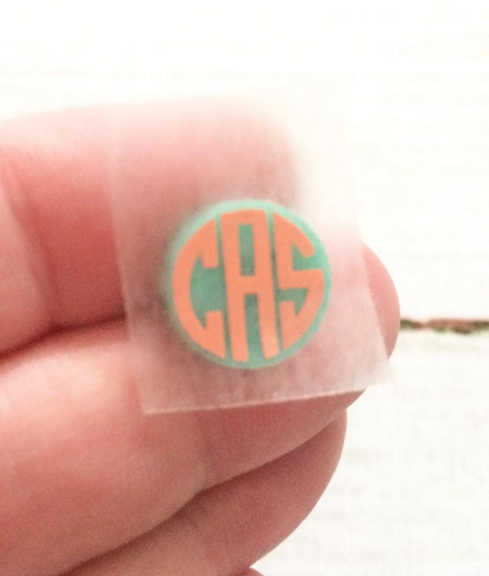 Place your transfer tape onto your cut designs. Photo One (left top): Remove your design from the paper backing, place your design on the top of your acrylic blank-starting in the middle (this helps to alleviate any air bubbles from forming when you transfer the vinyl from the backing to the acrylic blank). 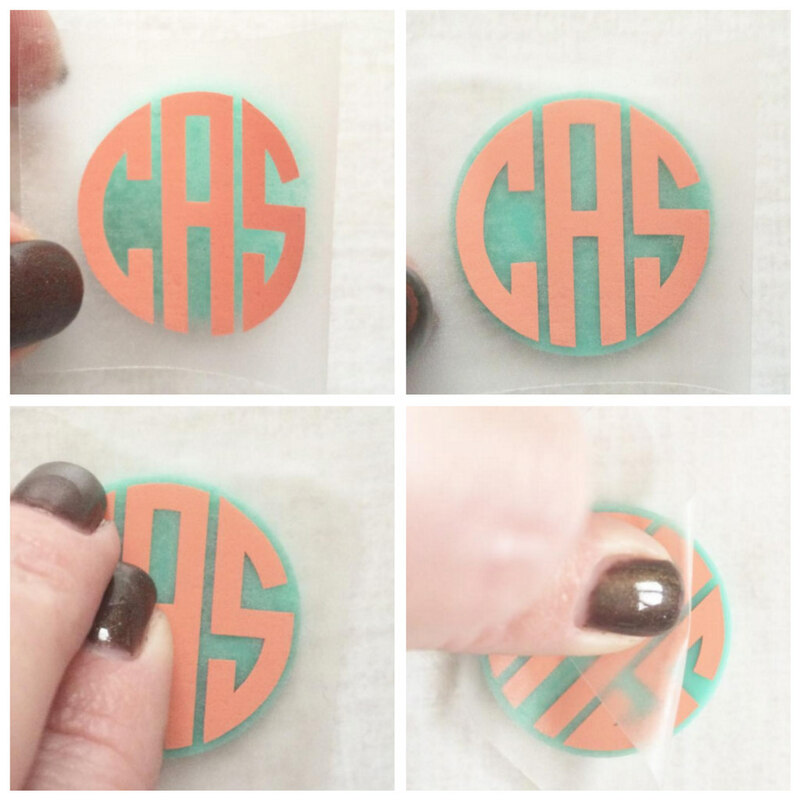 Photo Two (top right): Lightly rub in one direction and then the other to adhere your design to your acrylic. Photo Three (bottom left): Now rub over the top of your design and transfer tape vigorously to make sure that the vinyl has good adhesion to the acrylic blank. Photo Four (bottom right): Gently and SLOWLY pull a corner of your transfer tape off of the acrylic (making sure that you don't pull your vinyl design off), while pulling make sure you're laying the transfer tape onto itself (see photo). Do this slowly making sure you do NOT pull up your vinyl as well as to prevent air bubbles from forming in your vinyl. As you can see, they vinyl is covering the holes of where our jump rings are going to need to go. If your holes are big enough, you can use the Diamond Tip Reamer from Punch Place Plus or you can do what I did. 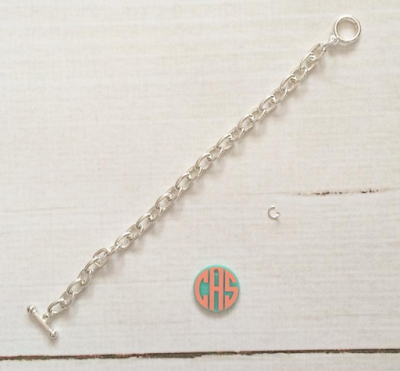 We can now assemble the bracelets! 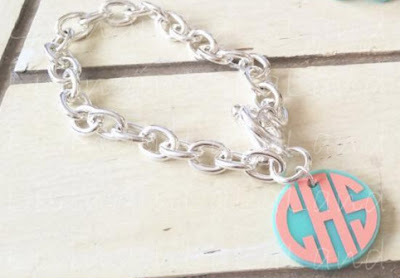 Take your Silver Plate Chain bracelet, oval jump ring and your acrylic. Open the jump ring, add your acrylic, put your jump ring/acrylic onto the bracelet and close the jump ring. They'll come with a center jump ring and two loose jump rings. 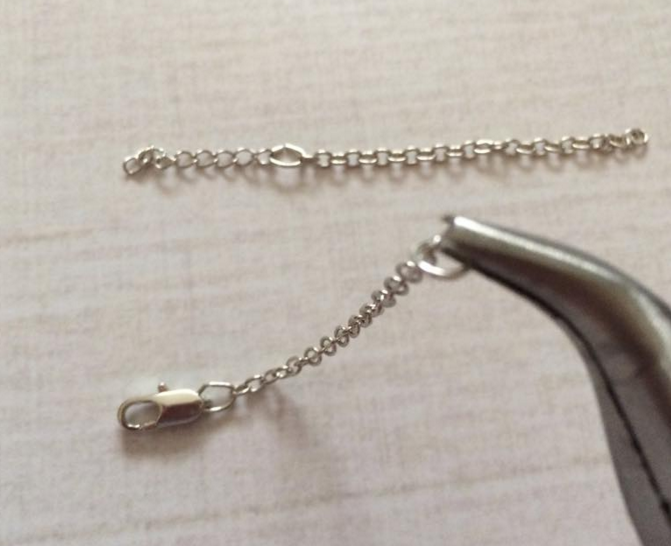 You're going to use your needle nose pliers to open the center jump ring and remove one side of the chain (it doesn't matter which side but I am right handed and like my clasp on the right so it's easier for me to put on). Take your acrylic and apply it to the open jump ring and chain, close it, then grab you're other jump ring, open it; add your chain and the other side of the acrylic. Look at you, you're on a roll! We are now going to do the earrings. The protective covering on the earrings are a little harder to get off of the blanks then the others so I thought I would show you how I remove them. I simply scrape (not scratch) the side of the acrylic with my finger nail and once I get a piece of it up, I go around the edges until I get a good piece and then pull it off (it doesn't always come off in one piece though). 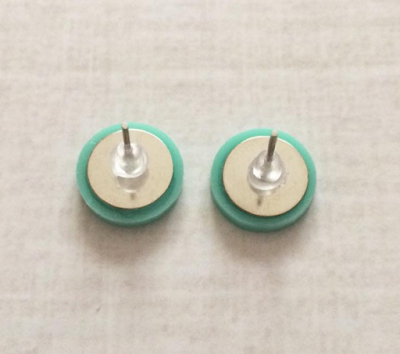 Alright now we can get started on assembling the posts to the earrings. Take your E-6000 and place a small dab onto the back of the post (I don't add it too the earring because your post doesn't cover the whole back of the earring and you could possibly get too much). 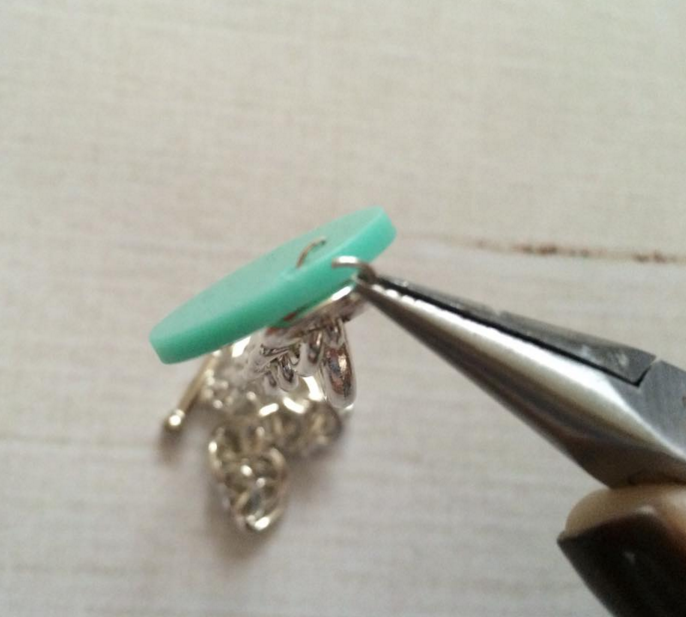 Next place your post gently onto the earring (without pressing down) as we are just gauging where we want it. Once you have it where you want it (centered) you can press and move it around slightly to make sure that you've got the E-6000 all over the post and the earring. I like to add my vinyl on the earrings before gluing the posts on the back, it makes it easier to place them when they're on a flat surface then fighting with the posts. However if you're going to do a big batch, you can use a pool noodle. 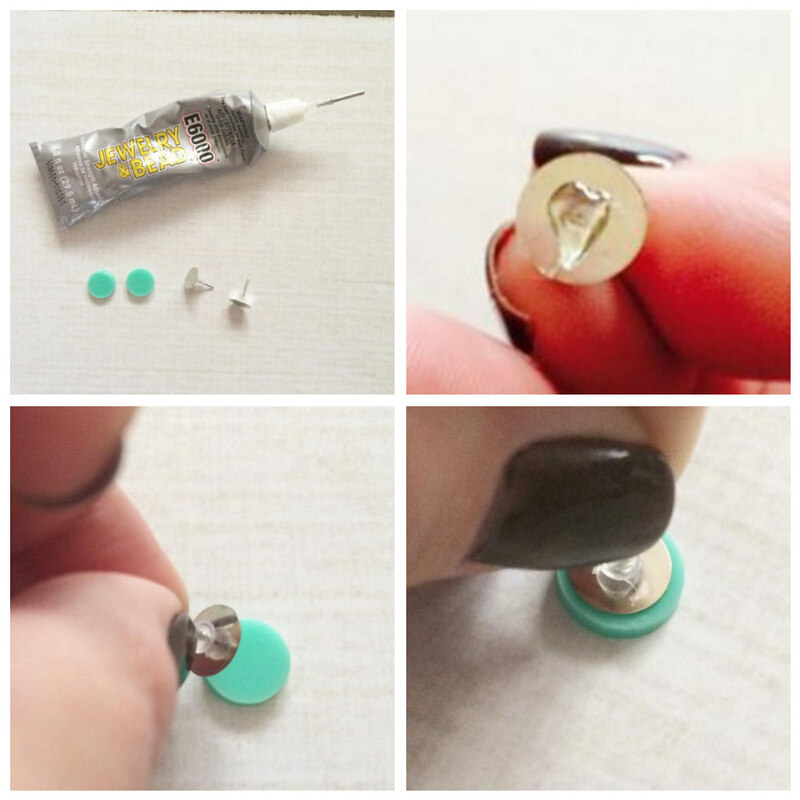 Just stick the posts into the noodle to stabilize the earrings while you're applying your vinyl. This is how they will look once they're completed. Allow them to dry for at least 48 hours before applying vinyl (they may seem dry but if you don't wait the full 48 hours, you'll push the posts and then your bond won't be as strong). Now you're going to apply the vinyl. If you have the posts applied (and don't have a pool noodle because it's winter), simply stick the post in between two fingers to stabilize the earring and apply the vinyl. 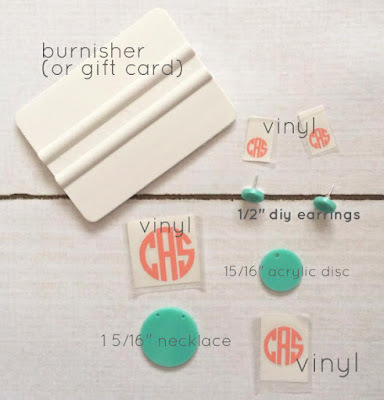 You'll burnish the vinyl on the earrings, remove the transfer tape just like you did above on all the other pieces. You've just completed a set of earrings! 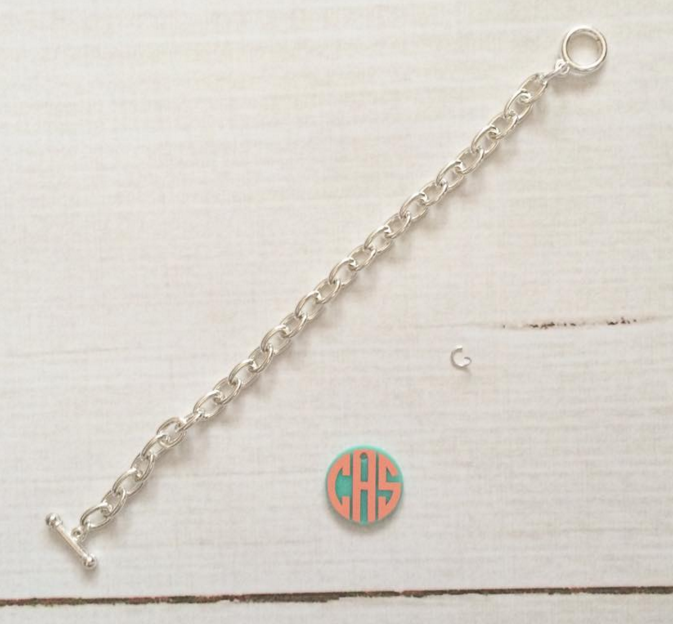 We are on our last gift but this certainly doesn't mean that you only have to create these items, there are so many more items and options to get creative! The necklaces that we are going to do now are awesome! Why? 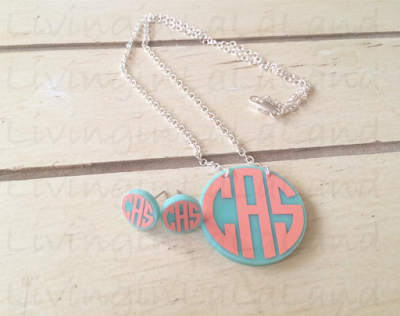 Because you only need to add your vinyl! I disassembled mine because I had to line up the vinyl over the top of the holes but you could certainly leave them on and make your design smaller to fit right below the jump rings. 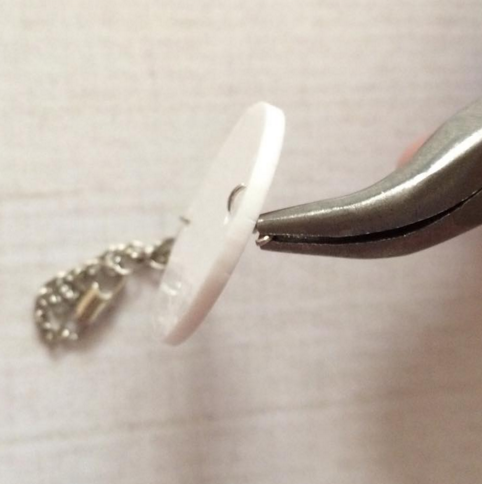 You'll simply use your pliers to undo the jump ring and remove them along with the chain from the acrylic (on both sides), once you've added your vinyl design simply add the jump ring and chain back onto the acrylic. Congratulations, that is four gifts done and checked off of the list! If you have any questions please leave a comment here on the blog and I'll do my best to answer them for you!